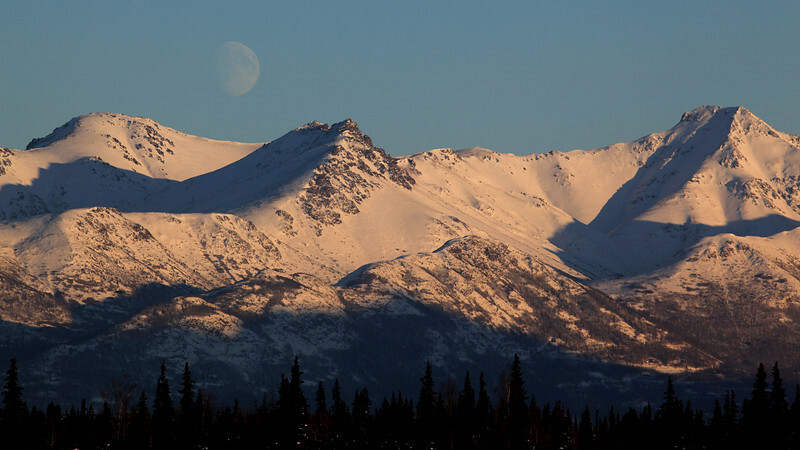 While the summers in Alaska may be outstanding, the winter is cold and dark. The light, however, is glorious as the golden hour lasts a really long time! The moon slowly rises over the mountains.